Smoking Pot Around The Kids Isn't A Good Idea, Doctors Say : Shots - Health News Babies exposed to marijuana smoke have metabolites of the drug in their urine, researchers say. They think that secondhand marijuana smoke will prove to be as dangerous as secondhand tobacco smoke. Researchers have found marijuana metabolites in the urine of babies who were exposed to adult marijuana use. This woman uses marijuana to treat her migraines and insomnia, but she never uses it around her 5-year-old son. (She asked that her name not be used because marijuana use remains a federal offense.) "I don't want to impact his air quality by the decisions I'm making," she says. This is the right decision, according to research by Dr. Karen Wilson, a pediatrician and lead author of a study showing that children absorb chemicals from secondhand marijuana smoke. "This is the first time we've been able to demonstrate that there are detectable marijuana metabolites in the urine of children who've been exposed to marijuana," says Wilson, who is the Debra and Leon Black division chief of general pediatrics at Mount Sinai in New York. It's a small study, involving 43 young children in Colorado, another state where recreational marijuana use is legal. The children, ages 1 month to 2 years, were hospitalized for bronchiolitis. Their urine samples were sent to the Centers for Disease Control and Prevention, which used a new and highly sensitive test that can detect very low levels of marijuana metabolites. They found 16 percent of the overall samples tested positive. And for the children whose caregivers said they had been exposed to marijuana use, 75 percent had traces of marijuana in their urine. "There is a strong association between those who said there was someone in the home who used marijuana or a caretaker who used marijuana and the child having detectable marijuana levels," says Wilson. Some studies have shown that even low concentrations of THC — the psychoactive ingredient in marijuana — can cause developmental problems for babies whose mothers used marijuana while pregnant. Other research shows that marijuana use in adolescence can impact the developing teenage brain and cause problems with attention, motivation and memory. "Our hypothesis is that it is not good for kids," Wilson says. "We strongly believe that once we do the research to document secondhand marijuana exposure that we will see there is a negative effect on children." And this worries doctors, especially in states where marijuana use is legal — more than half of states now have laws legalizing medical marijuana. 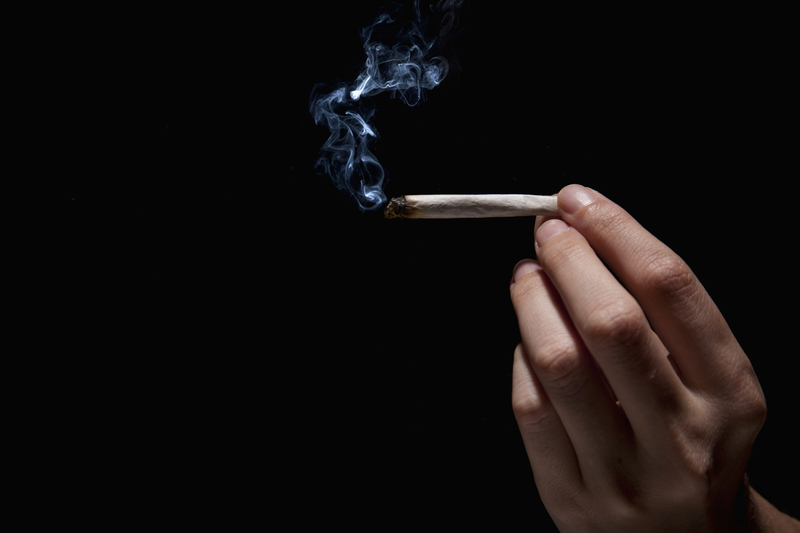 Dr. David Beuther, a pulmonologist and associate professor of medicine at National Jewish Health in Denver, says his patients frequently ask about the safety of marijuana smoke, and their perception tends to be that it is safer than cigarette smoke. Beuther says they are wrong. "There is no reason to believe that it is any safer than tobacco smoke exposure," he says, pointing to studies showing marijuana smoke in rats is just as bad as tobacco smoke or even worse. Beuther suspects that secondhand marijuana smoke or vapor will put children at risk for problems like increased risk of viral infections, asthma and other respiratory illnesses. It could even increase the risk of developing chronic conditions like heart disease and stroke later in life, he speculates. "To a degree we suffer from lack of evidence," Beuther says. "But without the federal OK it's difficult to study it." As marijuana is still illegal under federal law, it makes it very difficult for laboratories to get permission to conduct randomized clinical trials with it. So until there is more science on the health risks, Beuther says, marijuana smokers and vapers should take the same precautions around children as tobacco smokers. "Get it out of the house and away from your baby," Beuther says. "Not in the car, not in the home. If someone wants to smoke marijuana, they need to do it outside, far away from your baby or your child, because at this point we believe the adverse health effects are probably as bad as secondhand cigarette smoke."